For low-income residents of Hamilton County, going to the doctor can pose a great financial burden. 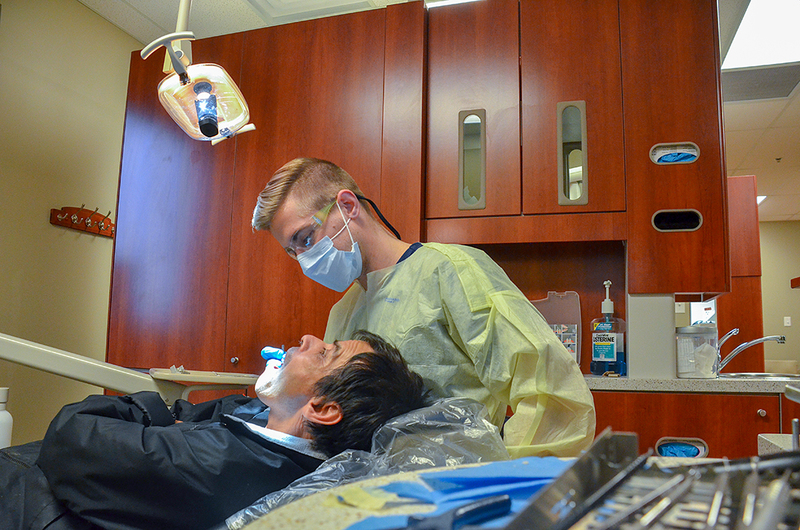 Even basic care, such as checkups and teeth cleanings, can be expensive without insurance. Adding to this difficulty is the fact that many low-income jobs offer little to no paid time off, yet most doctor’s and dentist’s offices are only open during the week. In October 2000, Our Lady of Mount Carmel Church responded to the need for free medical care in Hamilton County by starting a clinic, which operated out of its nurse’s office and library. Two years later, the clinic expanded, moving to a new location on 146th street. The clinic became an official nonprofit organization in 2005. In 2011, the Trinity Free Clinic opened in its own building on the campus of Our Lady of Mount Carmel Church, 1045 West 146th St., Suite B, in Carmel. 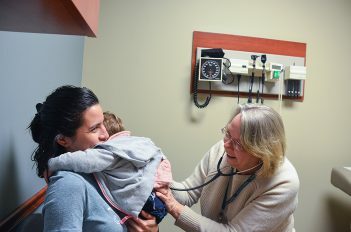 Since then, the clinic, which offers free medical care to the uninsured and underinsured of Hamilton County, has grown to serve around 4,000 unique patients per year. Approximately 23 percent are from Carmel. Ferchmin said the clinic’s services have slowly expanded to meet the growing needs of the community. The clinic now provides a wide range of health services, from eye exams to physical therapy. Ferchmin noted, however, that although the clinic can diagnose certain chronic conditions, it is not equipped to provide the ongoing care that some patients require. Patients with such conditions must be referred to doctors elsewhere. Approximately 400 volunteers serve at the Trinity Free Clinic, including doctors, nurses and pharmacists, among specialists. Physician and pediatrician Dr. Julie Fecht has volunteered with the clinic for six years. During that time, the clinic has grown to serve patients from more than 80 nations. For Lyn Hopkins, a dental hygienist who has volunteered at the clinic for about 10 years, one of the greatest challenges is having to direct some patients elsewhere for treatment. “Patients can tell if you’re sincere or not, especially when you have to tell them that their need cannot be filled here. That’s always really hard to say,” she said. Hopkins said the desire to serve, which draws volunteers like herself to the Trinity Free Clinic, is also what keeps them coming back, year after year, in spite of the challenges. The annual Taste Sip Savor fundraiser benefiting Trinity Free Clinic will be from 6:30 to 9:30 p.m. May 2 at Ritz Charles in Carmel. Guests can enjoy sampling of some of the area’s best drinks and finest dining in a casual atmosphere. Learn more at trinityfreeclinic.org/taste.